On the morning of January 16, 1781, an independent minded New Jersey fellow named Daniel Morgan led a force of continental soldiers and militia in an orderly retreat up a muddy South Carolina wagon road, escaping the forces of British Lieutenant Colonel Banastre Tarleton. It had been a long war for Morgan. As a captain in the young Continental Army, he was captured by the British in the foolish American attack on Quebec. He spent nearly two years as their prisoner before being exchanged. The British were sure that, because of his poor health, he would be no further threat to them. They miscalculated. After his release in 1777, Morgan rejoined General Washington in New Jersey. He had been promoted to Colonel for his heroic conduct during the assault on Quebec. Washington asked him to recruit, train, and command a fast-moving force to conduct hit and run raids against the British. Morgan was given 600 of Washington’s best men and recruited several hundred more sharpshooters for his regiment. The new group was the 11th Virginia Regiment. Morgan and the 11th Virginia excelled in their hit and run role. They developed the tactic of finding British forces far from base and concentrating their fire against British officers. Then they repeatedly attacked the retreating and largely leaderless British force for days. Morgan and his regiment remained in frequent combat until Morgan was forced to retire in late 1779 because of severe pain. 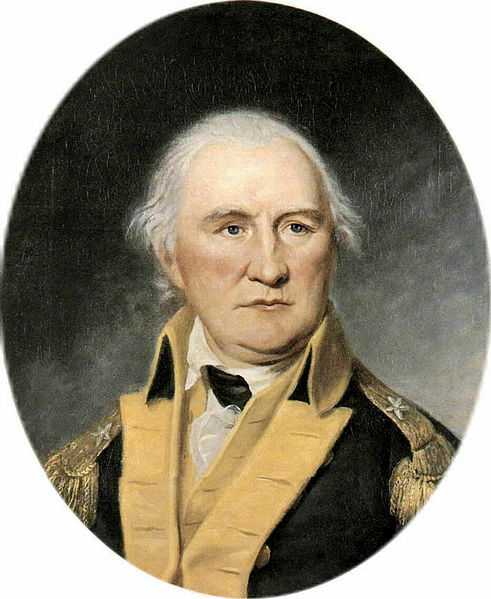 In October of 1780, Morgan returned to service at the rank of brigadier general. He was assigned to help General Nathaniel Greene salvage the waning fortunes of the rebellion in the Southern states. In January of 1781, Tarleton (rhymes with charlatan) was dispatched by the confident and impatient British General Cornwallis to hunt down and kill Morgan’s force before they could unite with the rebel forces under Greene. Cornwallis’ intelligence obtained from royalist sympathizers was that Morgan had 800 men with him, and that a third of them were untrained militia. It failed to include recent additions of North Carolina militia to Morgan’s forces, as well as the fact that some of the militia were experienced woodsmen, equipped with accurate, long range rifles. Cornwallis ordered Tarleton to take his cavalry forces, reinforced by light infantry, in hopes that they could out-speed Morgan’s force and attack them on the march before they could retreat back to North Carolina and resupply. Tarleton had earned the hatred of the people of the Carolinas with his practice of murdering prisoners and civilians. Murder and plunder by British forces was not the norm. Tarleton was the exception. Morgan kept riders out to cover his retreat. He knew Tarleton’s scouts were close. Morgan was searching for a favorable position from which to conduct a defensive action against the very well-trained and well-equipped British. He came to some abandoned cow pens near the Broad River. The muddy road was flanked by thick woods on two sides and backed by some low hills. Morgan made his stand. Morgan organized his troops into a defensive battle formation and had them sleep in their battle positions. Morgan had listened to what the locals said about Tarleton and guessed the general would order a frontal attack as soon as he arrived in the morning. Cornwallis and Tarleton considered the woodsmen from the Carolinas and the Virginia wilderness to be worthless. The British, like all armies of the time when on the attack, relied on close up “volley fire” to do what damage they could at close range, followed by a disciplined bayonet charge. Typically, the British cavalry attempted to exploit the weak flanks of the opposing force in order to induce a panic and rout the enemy. Morgan ordered the best marksmen to inhabit the first row of the defensive position. Behind them, he placed two rows occupied by the bulk of the militia. These men were mostly typical militia made up of farmers, craftsmen, and merchants. Morgan placed his Continental forces on the top of the slope with one unit of Virginia militia on his left flank. He hid his cavalry on the north slope of the hill. Tarleton camped about five miles away, and at about 3:00 a.m. on January 17, his forces cut their sleep short and proceeded north up the muddy road. After marching five miles in the mud while the well-rested Americans enjoyed a warm breakfast and told dirty jokes about British and royalist women, the British formed up to attack Morgan. 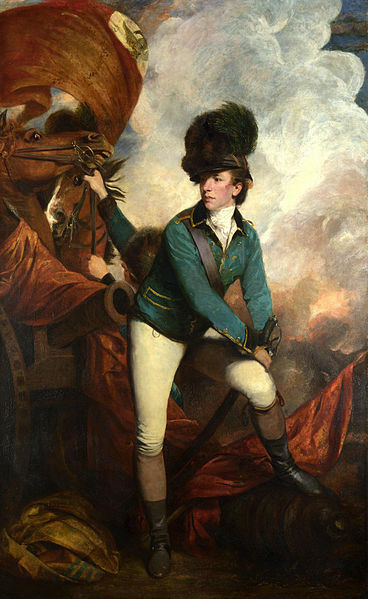 Tarleton charged with his cavalry. To his horror, he discovered that those poorly dressed civilians in the front row had rifles rather than smooth bore muskets. Worse yet, they seemed to be unusually good shots for untrained shopkeepers. Tarleton lost several officers in the first charge. They retreated a few yards to regroup. To his relief, the first row of militia seemed to be retreating in a panic, just as militia are supposed to do. Tarleton resumed the charge and reached the second line of militia in time to discover that they had stopped their retreat and were cutting down his cavalry with deadly accurate fire. Again, Tarleton retreated, and again he delighted to see the militia running off to Morgan’s left flank. He threw his infantry forward to attack Morgan’s center while his cavalry rode unhindered to attack Morgan’s right flank. About that time, the unhindered flank attack became very hindered by Morgan’s cavalry as they appeared from behind the hill. Tarleton’s plans had not gone to hell in a hand-basket, but to a muddy cow pen in South Carolina. The British and the rebels fought at close range. Tarleton ordered a retreat to regroup in a defensive disposition where he would be able to use his two light artillery pieces that sat in reserve behind his attacking force. Before the British could retreat though, something of a miracle occurred. In what remains the finest hour in the history of what we now call the US National Guard, the militiamen who ran to the rear as instructed ignored instructions to save themselves and kept running all the way around the hill to throw themselves into Tarleton’s flank. They created the first double envelopment ever conducted by American forces. Tarleton escaped. Over 100 British were killed, and about 830 were captured. Morgan lost 12 men. Oddly, Cornwallis did not court-martial and hang Tarleton for abandoning his men. We can only assume that Tarleton was well-connected in parliament. Cornwallis knew that he could replace his losses, but he needed to go into a defensive encampment until reinforcements and supplies arrived. Cornwallis retreated to the Virginia coast and found a perfect defensive position. Yorktown. But that’s another story for another day. When you see the unusual National Guard symbol that looks like a farmer with a rifle rather than a well polished soldier, think of those poorly trained volunteers at the Battle of Cowpens. Years later when recounting the battle to friends, Morgan said that he had never felt so proud of his countrymen as when he saw those farmers who should have been long gone from the battle throwing themselves into Tarleton’s flank. The US Navy honored the Battle of Cowpens by naming a Ticonderoga class cruiser the USS Cowpens CG 63. She participated in combat in the Gulf, and had a prolonged deployment with the 7th Fleet in the Far East. This is interesting. Tarleton paid for underestimating the volunteers. Don’t know if this was Jay’s work or Piper’s, but well done! Jay wrote it. I edited. Thank you. Nice write-up! My daughter lives about an hour-and-a-half from the Cowpens National Battlefield. I’ve visited the site twice so far. Thank you, and very cool! I’ve always wanted to visit there.